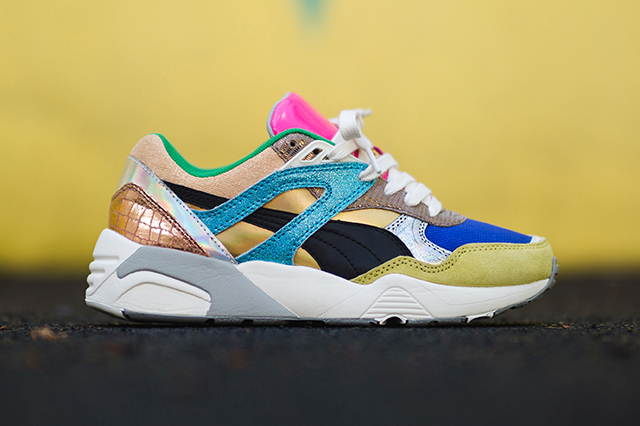 I’m not saying these should’ve been called “The Dr. Jekyll and Mr. Hyde” but if you look at the latest pack from Puma, you can see why I say that. The “Polly Pack” is definitely a contrast of one another and makes for two interesting pairs of shoes . 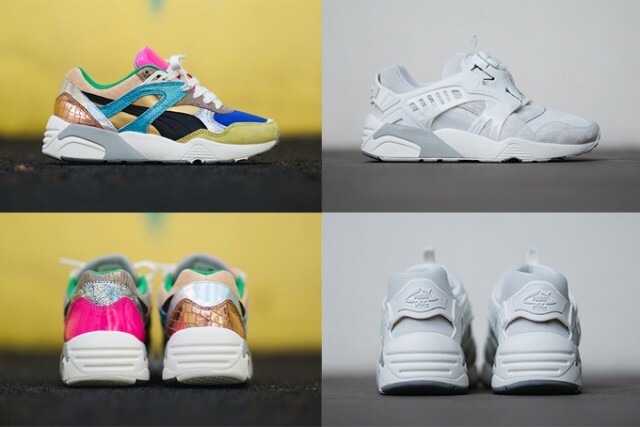 Puma delivered for the women with their latest pack. The ever so colorful R698, makes thing fun, as it combines many textures and colors for this silhouette. 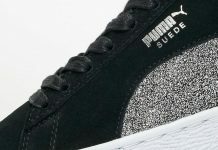 The upper contains holographic leather, mesh, cracked leather, and nubuck. The collage of a shoe sits atop of a off white and grey sole. 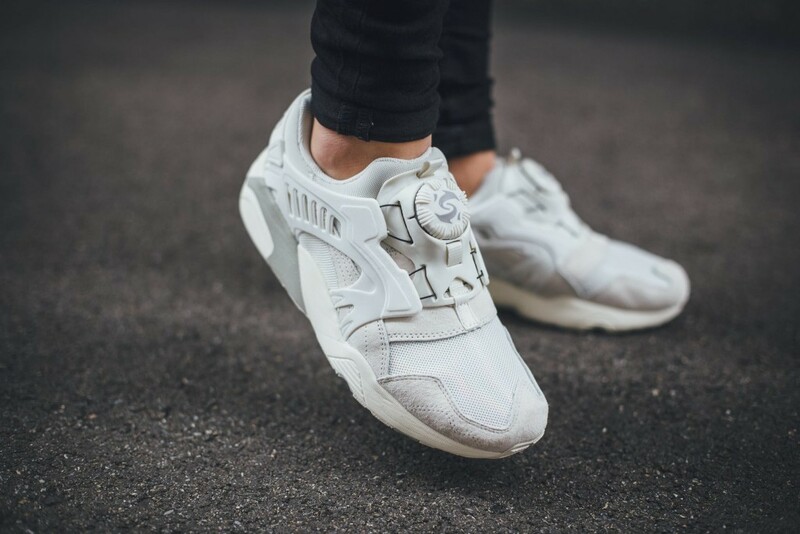 If you aren’t for all the glitz and glamour on your kicks, you get lucky with the Puma Disc Blaze in a muted grey and white tone. The shoe is wrapped around in suede in various shades of grey and sits on the same sole as the aforementioned R698. 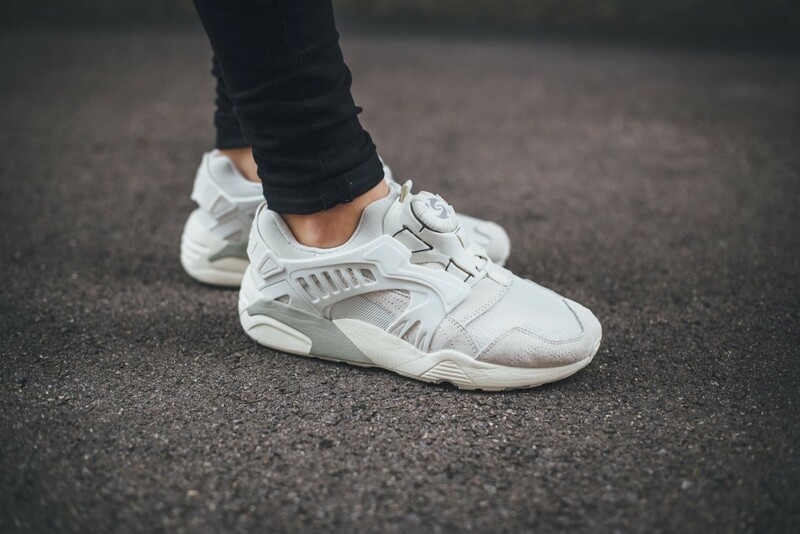 Puma has been on a tear lately with their Disc Blaze model and these are following up on the heat they’ve been dropping. Are you looking to cop? Let us know in the comments. These drop September 18th at Titolo.